I was bought this book, told that I had to read it, because it was one of the best books in existence. Hm. Whilst I can see why some people absolutely love this book, it wasn’t really for me. I have to admit that it really surprised me. My first degree at university was a very philosophical one, so I thought that I might really ‘get’ this book. I appreciated its sentiment, but I had a real disconnect from it. 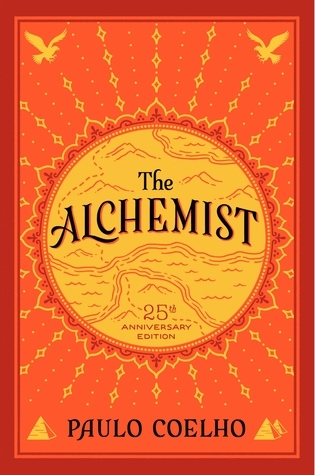 The Alchemist follows Santiago, a shepherd on a quest for treasure. He travels and experiences many things, each teaching him something along the way. I loved the message of following your dreams and listening to your heart. However, I didn’t feel as connected to it as I wanted to. It was a sweet read, but despite how short it was, it felt like a very slow paced read. I wasn’t compelled to keep turning the pages. I was left feeling slightly underwhelmed and wondering what I had missed. That said, I can’t deny that this book has a lovely, spiritual message which is why I would recommend it to others. Whilst I didn’t have the connection I expected with this book, I still thought it had some very profound statements and one I’m sure others will connect with more.